Santa and Mrs. 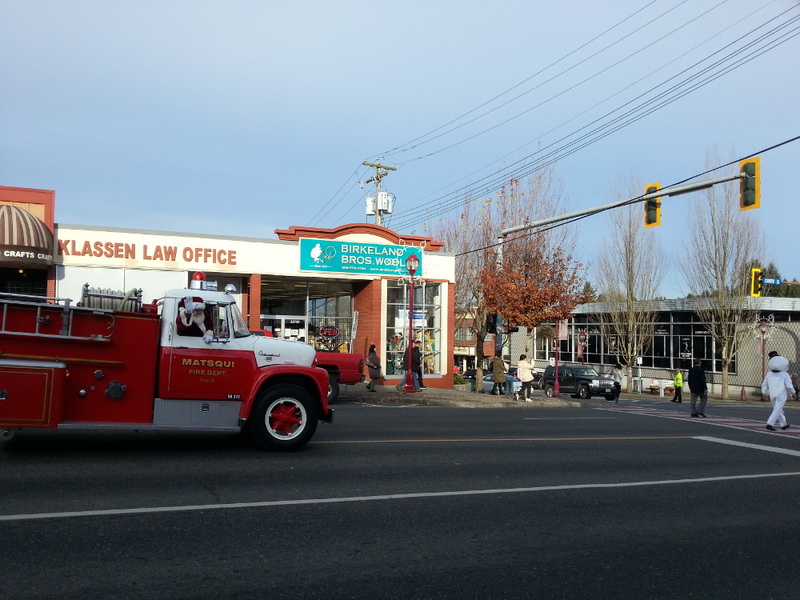 Clause were in downtown, to participate in Abbotsford's 24th annual Christmas tree lighting on the corner of West Railway and Essendene Avenue. 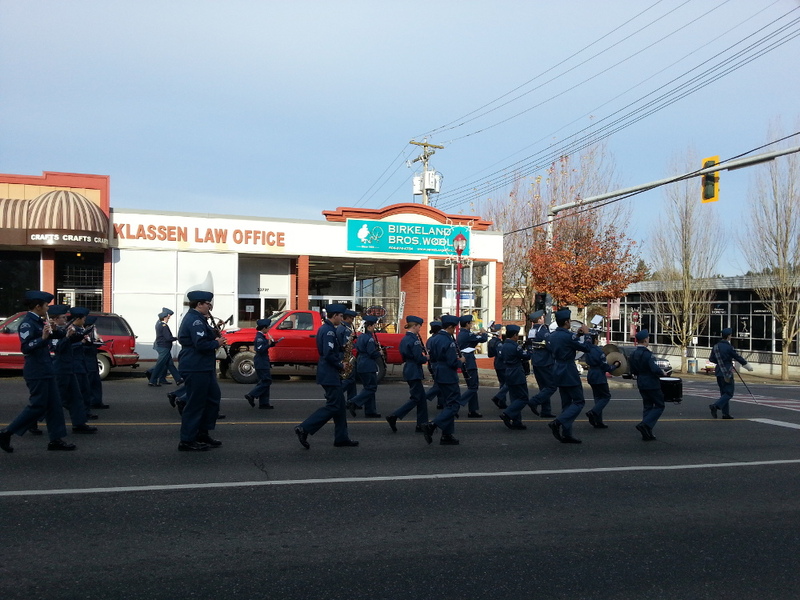 There was a community stage and lively entertainment, fun kids activities, free hot chocolate, cookies and popcorn! Birkeland Brothers participated in the downtown Puzzle Walk to raise money for Matthew's House. People who dropped by our store for a little Christmas shopping or a look at our historic carding machine also walked away with candy canes. On October 31, 2013, we participated in the Abbotsford Downtown Business Association's 2nd Annual Trick or Treating Event in Historic Downtown Abbotsford. 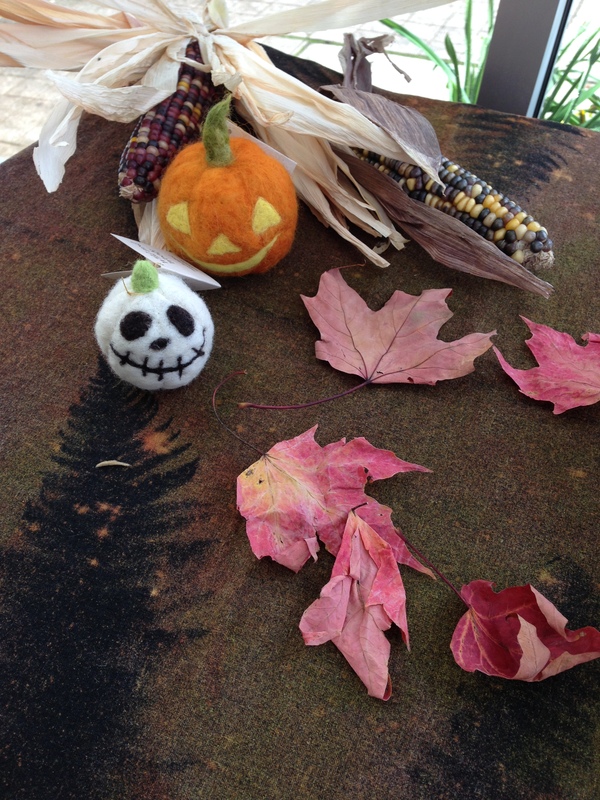 The event was definitely busier than last year, and many costumed monsters by for a treat. 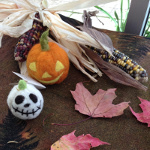 We hope you had an opportunity to come by and find a wooly treat for yourself! 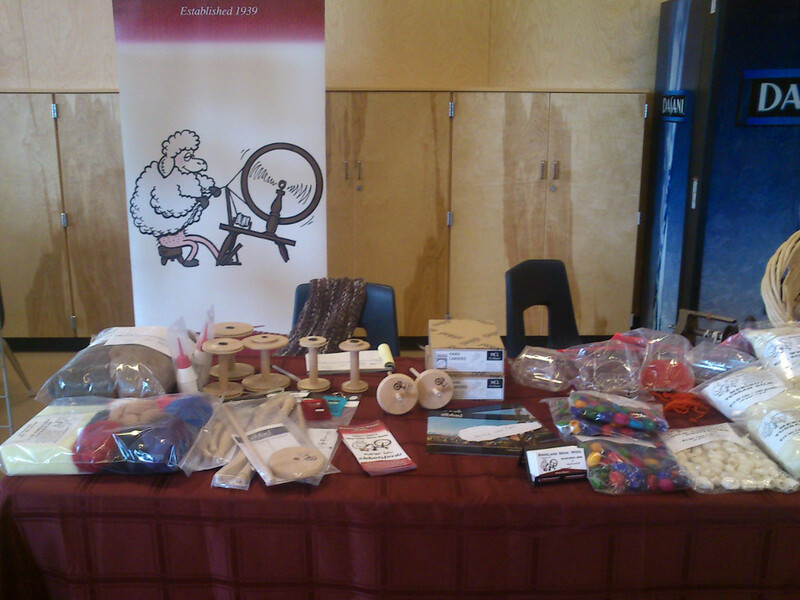 We were one of six vendors invited to the 2013 Spin In, held by the Chilliwack Spinners & Weavers Guild at the lovely Rosedale Traditional Community School in Chilliwack. 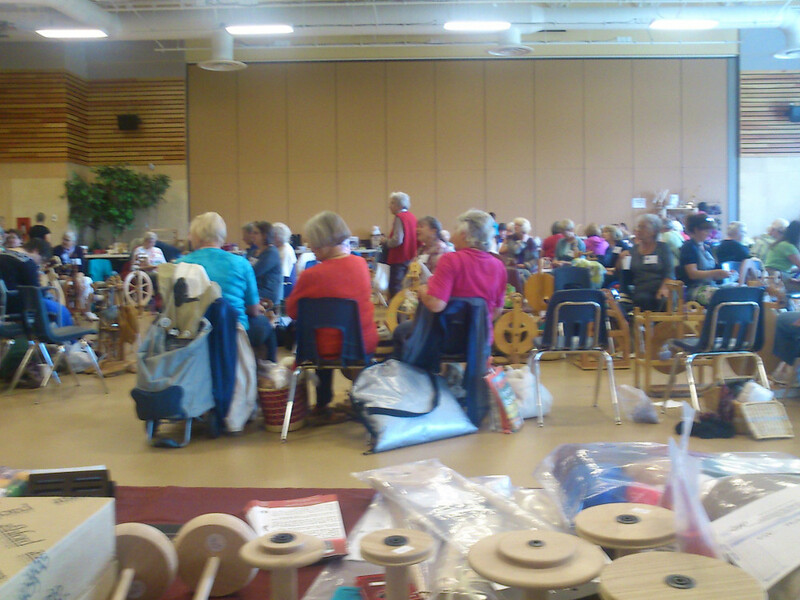 On September 20-21, 2013, we were happy to once again support the Fraser Valley Knitting Guild's Yarn Harvest Yarn Crawl. We had a large number of visitors from around the Lower Mainland (and beyond), keeping us on our toes over the two-day event! I hope you had an opportunity to drop in and get your gift bag and yummy cupcake; if not, we'll see you next year! The Yarn Harvest is an annual yarn-centric event organized by the Fraser Valley Knitters' Guild. 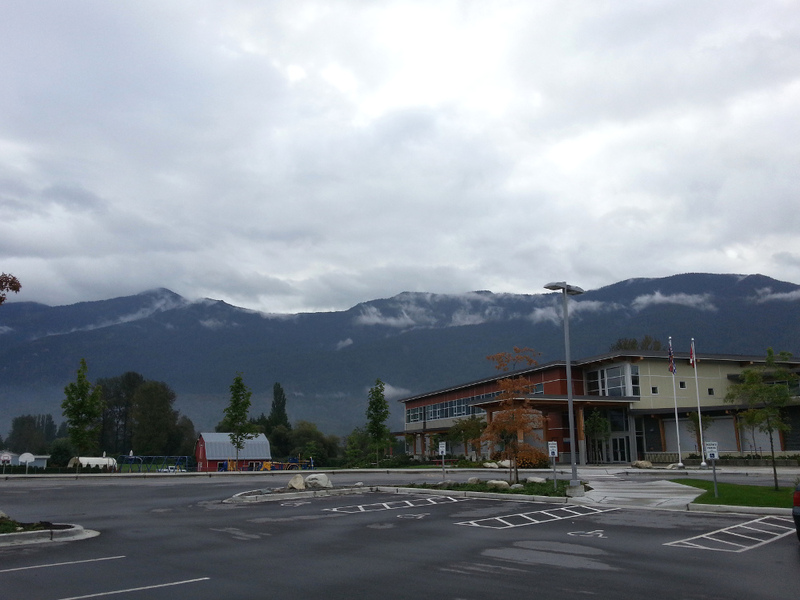 It involves shops from the greater Vancouver area and into the Fraser Valley to the east. On July 9-10, 2013, Birkeland Bros. Wool once again found ourselves in the middle of Abbotsford's huge Berry Beat Festival, which occupies four blocks in the heart of the historic downtown. This year, as people walked the events of the Berry Beat Festival they could also drop by our store to see demonstrations by the Abbotsford Spinning and Weavers Guild, or create their own bead at our wet felting table. We were also very excited to add a booth out at the entrance of the event, where we held live sheep shearing demonstrations on Saturday, at 1:00, 3:00 and 5:00 pm. 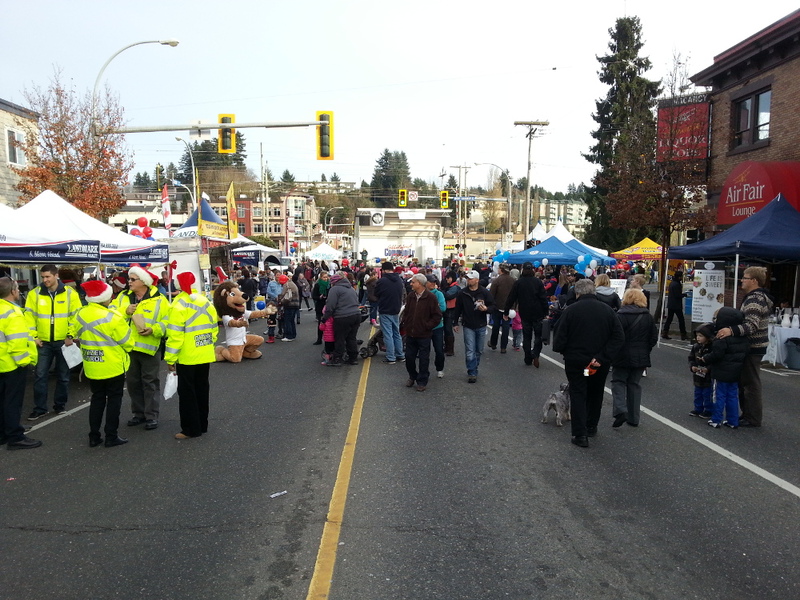 More information can be found here: Downtown Abbotsford Association Events. We also held a kids colouring contest between July 2-16, with entry by donation to the Abbotsford Food Bank and prizes for different age groups. A copy of the colouring page was printed in the July 2nd edition of the Abby News newspaper, but was also available in our shop, or printed from here. On March 22-23, 2013, Birkeland Bros. 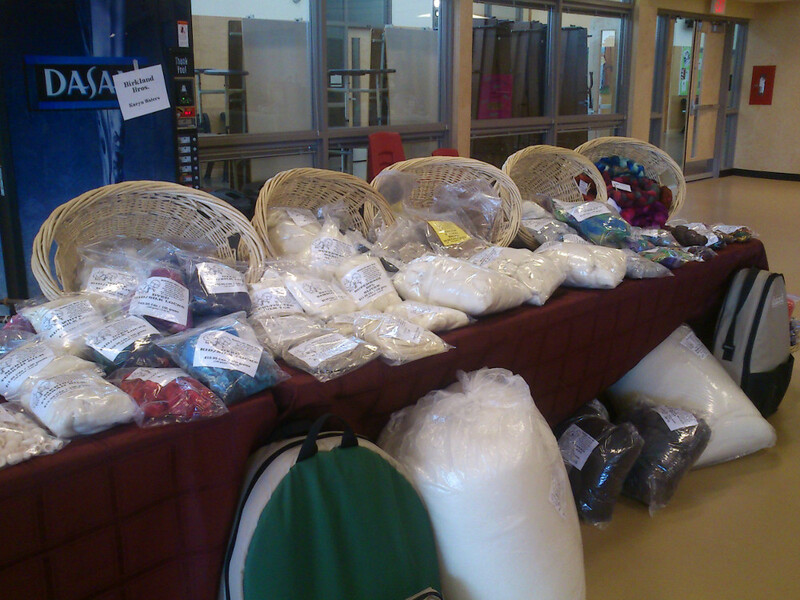 Wool participated in Fibres West annual event at the Cloverdale Show Barn, 17765 - 62nd Avenue, Surrey, BC. We packed up so much of our store it felt like we were moving for the second time in 73 years! It was wonderful reconnecting with customers who hadn't had an opportunity yet to visit us in Abbotsford. The only negative regarding the event was how sore our feet were when all was said and done: we had more staff at the event than we've ever had in the past, and there were still line-ups down the corridor! We had to snap our pictures early in the morning or you wouldn't be able to see us through the people! 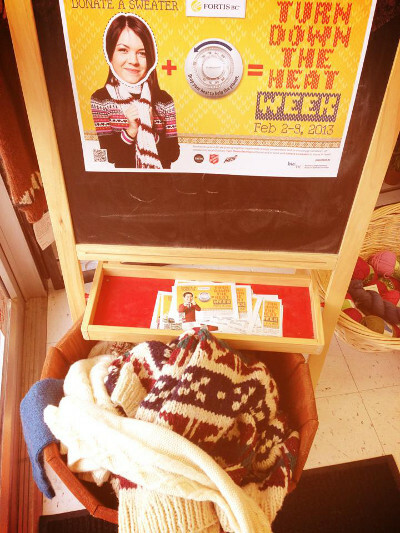 The Abbotsford Downtown Business Association participated in Fortis BC's first-ever challenge to turn down the heat and donate warm clothing to those in need. Here at Birkeland Bros. Wool we had a donation bin at the front of the store which saw a lot of activity from our generous customers! Overall, the BC-wide initiative more than doubled the donation target (details here), so I wouldn't be surprised if this becomes an annual event.